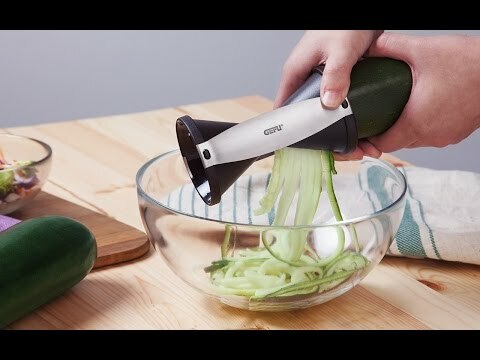 Get your daily dose of vegetables by using this kitchen tool to make low-carb, healthy meals. 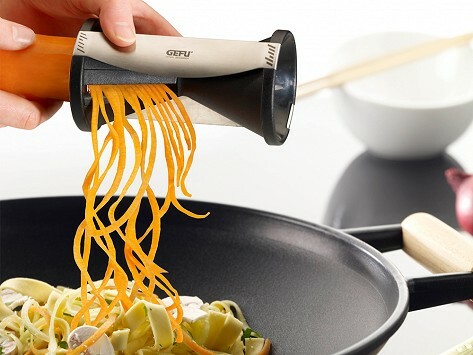 Slice vegetables into noodle-like strands with a few turns of the wrist. Make wider or thinner julienned strips, depending on the side used. Dimensions: 3" x 6" x 3"
My Granddaughter is a vegan and she's always looking for ways to make her meals exciting. So happy I was able to find this for her; what fun! I am experimenting with my spiral slicer & having fun coming up with alternatives to pasta.